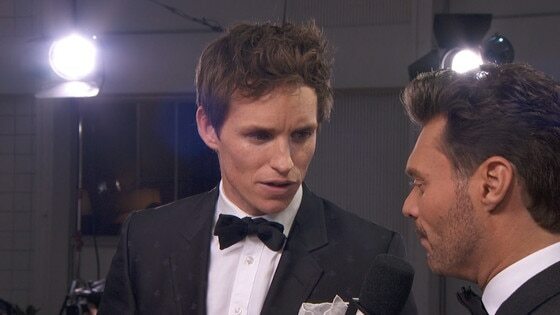 Eddie Redmayne—who is nominated for Best Actor in a Motion Picture at the 2016 SAG Awards—has the red carpet down when it comes to awards season, but one thing he's feeling a little unprepared for? Fatherhood. 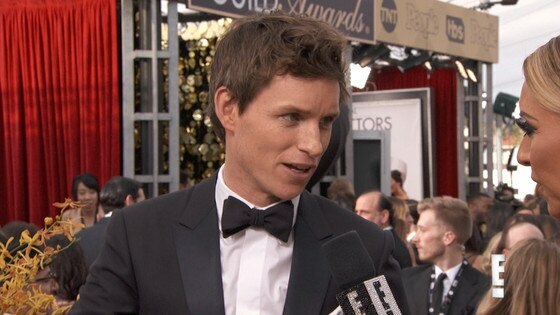 Yes, the Danish Girl actor who is looking forward to his first child with his wife, Hannah Bagshawe, this year, opened up to E! News' Giuliana Rancic about his nerves over becoming a parent for the first time. "It's quite a few months away, but we started looking at all the logistics," he revealed. "The list of things you're meant to get before going to the hospital, and it's a long list of stuff right there!" He continued, "We have this sort of dream of like wooden toys, and all that, and everyone's like, 'Yeah you always start off like that, but you end up with like iPhones!'" LOL! True story. Meanwhile, Redmayne also got Harry Potter fans excited over some other big news, regarding his career: his upcoming film with J.K. Rowling, Fantastic Beasts and Where to Find Them. He dished that they recently wrapped filming for the project and couldn't help but gush about the "wonderful experience," having the opportunity to dive into Rowling's imagination.